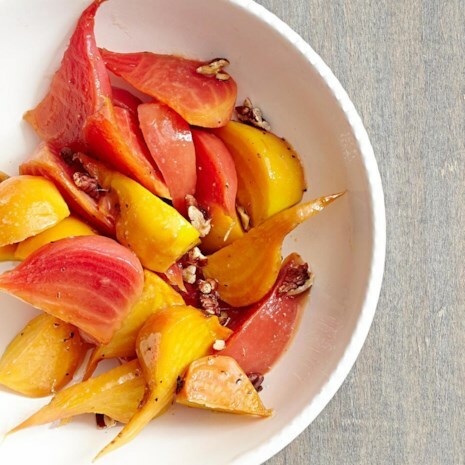 The gorgeous colors of yellow and Chioggia beets shine in this recipe thanks to a white vinegar in the glaze. 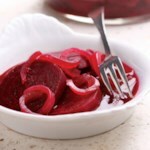 If you're using red beets, regular balsamic vinegar is also a good option. 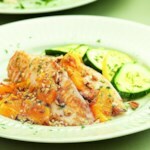 Serve with grilled steak or roasted salmon fillets. 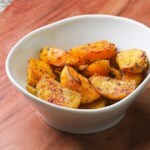 Download a FREE Healthy Vegetable Side Dish Recipe Cookbook!